Back in the old days, amateur musicians would make home recordings using cassette four-tracks, creating physical copies and distributing the tapes by hand. 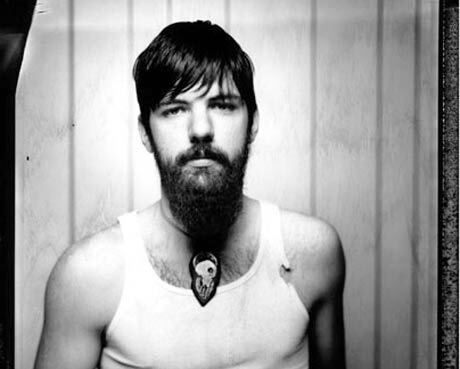 "The old days," in this case, refers to 2001, when Seth Avett (best known as a member of the folk rock outfit the Avett Brothers) issued the album To Make the World Quiet under the moniker Timothy Seth Avett As Darling. At the time, there was no label involved, and the only people who received the album were those to whom the songwriter personally sold a copy. The following year, he released a second album, Killing the Headlamps, using similarly limited means. Now, Ramseur Records is set to reissue these rare tapes in both physical and digital formats. According to a message posted Avett's website, his two solo albums will be available on iTunes today (December 29) and at Avett Brothers performances starting the day after. To coincide with the release, Crackerfarm filmed five one-take videos of Avett performing cuts from the album; two of the videos can be viewed now at the singer's website, with the remaining clips to be posted each Monday for the next three weeks. As well as revealing the details of the rerelease, Avett offering some insight into the recording process of the two albums, explaining "I initially mixed them both on a low-fidelity home stereo in my kitchen." He later pieced the songs together using "a ruler, an X-acto knife, and a real-time dual-deck CD duplicator." He initially had no plans to give these albums a wide release, but wrote, "I have been honored by the continued interest in these early works as expressed by those who have inquired about them at Avett performances." Read more details over at his website. Meanwhile, the Avett Brothers are currently on tour in support of their latest album, the Rick Rubin-produced I and Love and You.